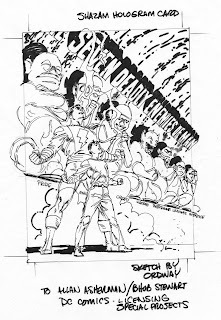 This was done for a comic catalog, many years back, and also used on a calendar for Capital distributors. 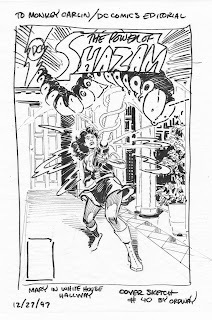 Power of Shazam holo card prelim on Ebay! 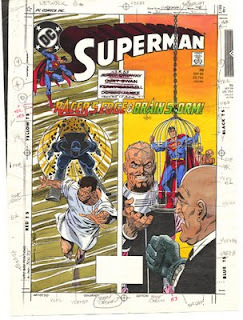 Adventures of Superman#457 cover color guide. 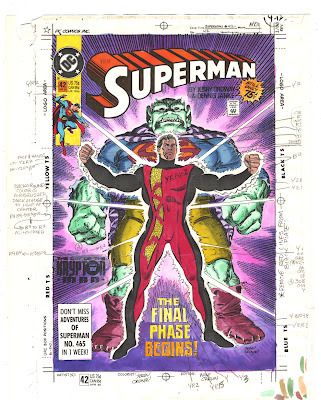 Here's another color guide, from a cover drawn by Dan Jurgens with inks by me, and color guide by me as well. See previous posts for an explanation of the flat color sep process. 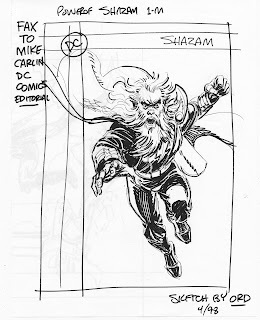 ebay listing for prelim on sale! Here's a peek into a work in progress. 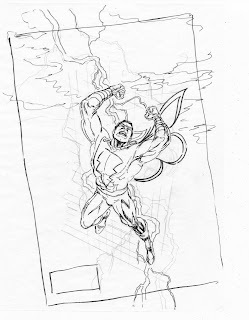 The above is a tight prelim, which was then traced onto a piece of drawing paper, and painted in watercolor dyes, with some Prismacolor pencil for highlights. 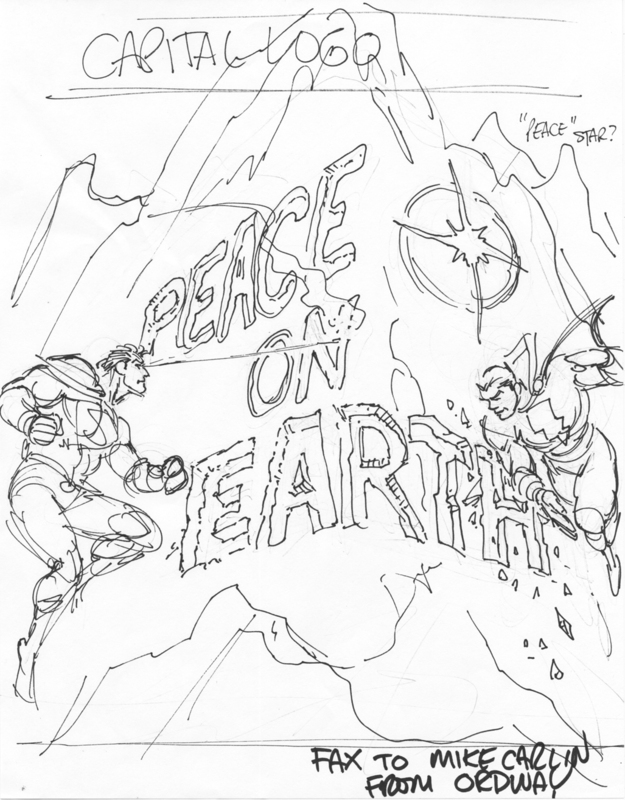 Below is the final cover. 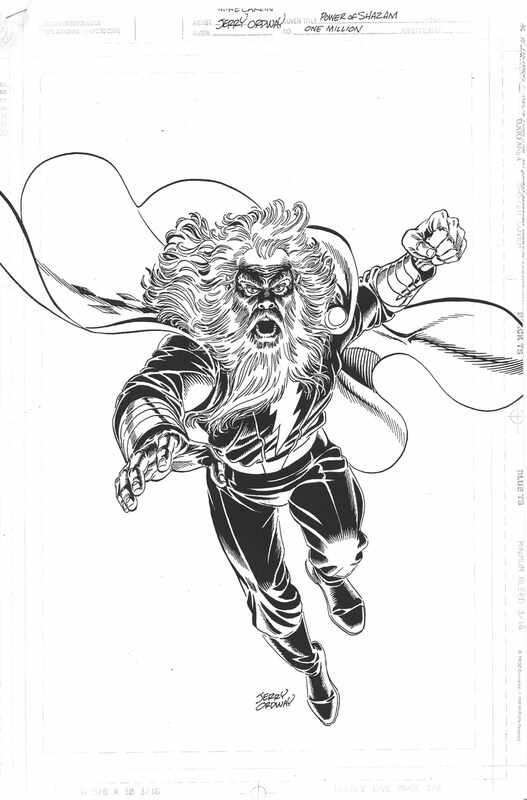 Here's the cover sketch to Power of Shazam#40! 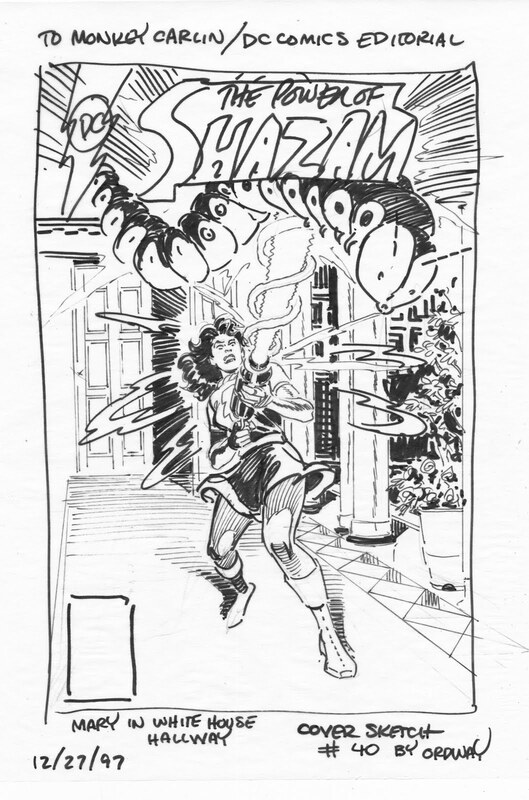 Power of Shazam cover sketch #40 on ebay! 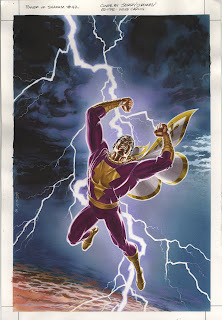 This one was done to illustrate the Mr Mind Goes to Washington story, which was a lot of fun to write! 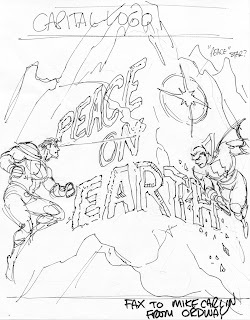 Superman coloring guide on ebay! 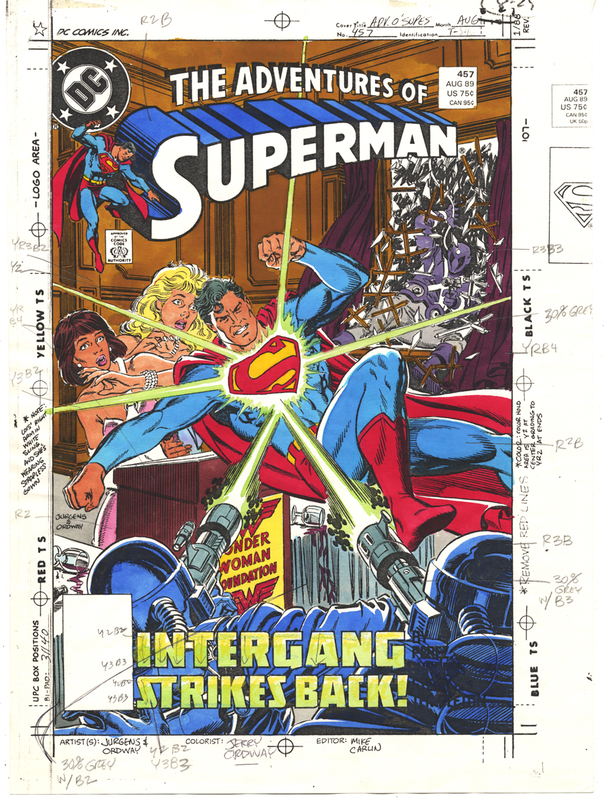 This was done for when I was a regular writer and artist on the Superman titles, and chose colors for the covers as well. 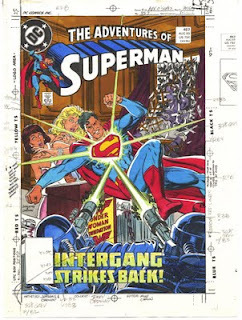 Kerry Gammill drew this issue as a fill-in, and I volunteered to color the cover. 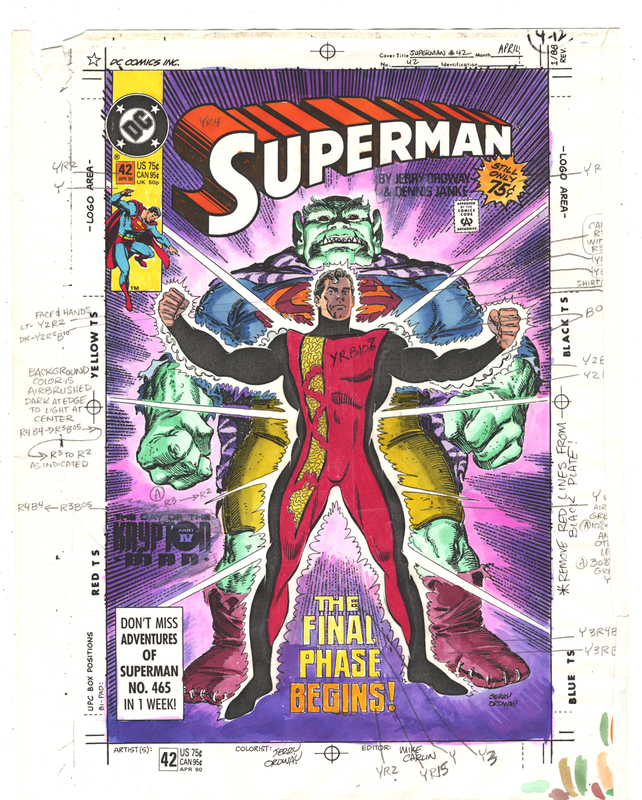 Note the little pencil notes, with codes referring to a chart that DC supplied us, to spell out the formular for the color separators, who would cut film by hand, on overlay sheets, to create the plates for color printing. The covers offered more color sublety than you got on interior pages, as well as the shiney paper stock, which allowed the black ink plate to really pop from the color ones. 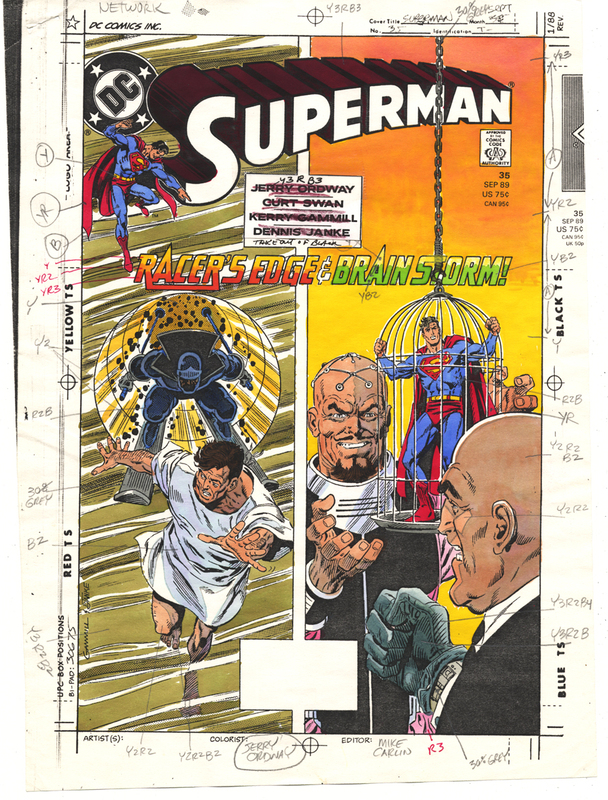 To give Lex Luthor's head two color variations, I drew a simple pencil line to indicate where the shadow, or darker skin tone started. All is required was to add a small percentage of blue to the skin tone color, but it really helped make the drawing more 3 dimensional. Alas, this is a lost art, as colors are done on computer, and the one who chooses the color also creates the color plates as well. 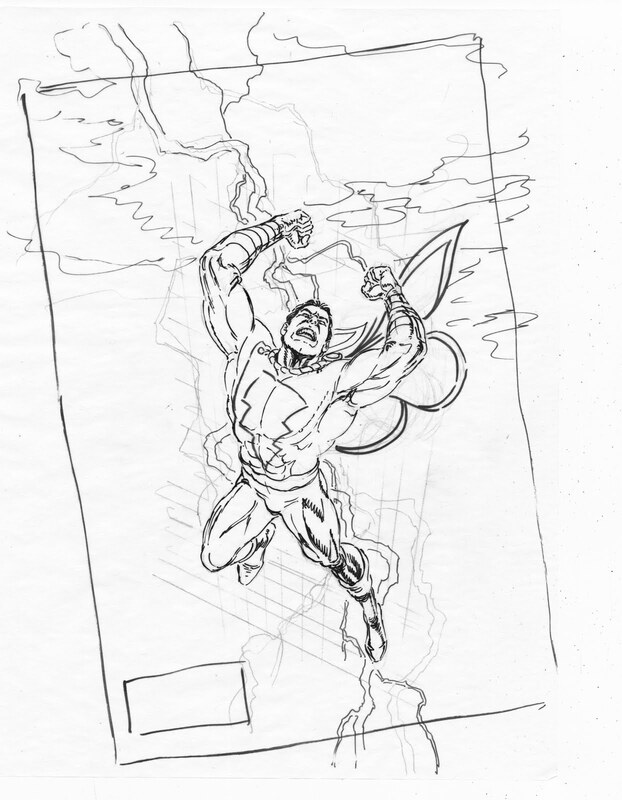 Here's a sketch I did for the cover of Shazam that shipped during the DC One Million crossover, in 1998, I believe. 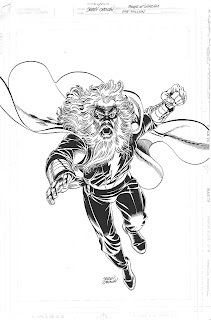 It imagined the DC universe in a million years, and Captain Marvel having succeeded the Wizard Shazam, to the throne on the Rock of Eternity. Fun story. 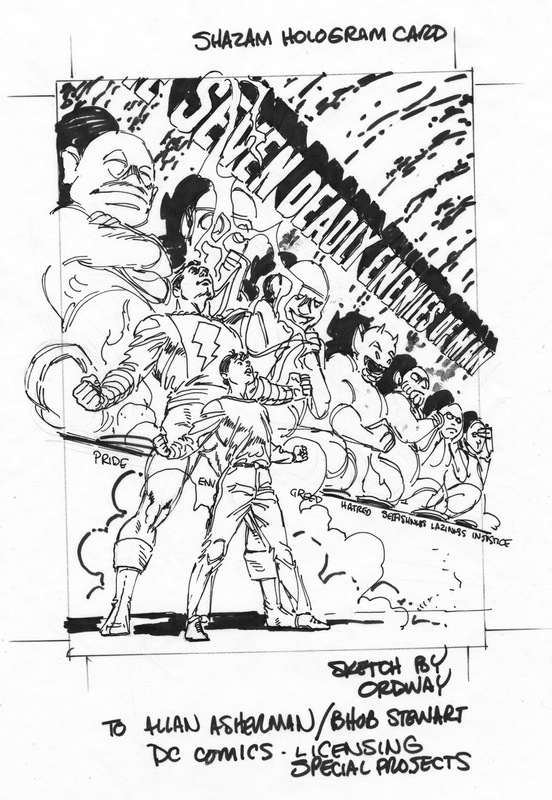 Here's the finished cover, the only non-painted cover in my run on the comic.